Flicker Alley presents the third installment of our blog series “Today’s Women Filmmakers on Early Women Filmmakers,” in which talented directors of today champion the groundbreaking women who paved the way. Follow the campaign with hashtag #EarlyWomenFilmmakers. Here is Ally Acker, filmmaker and author of Reel Women: Pioneers of the Cinema. 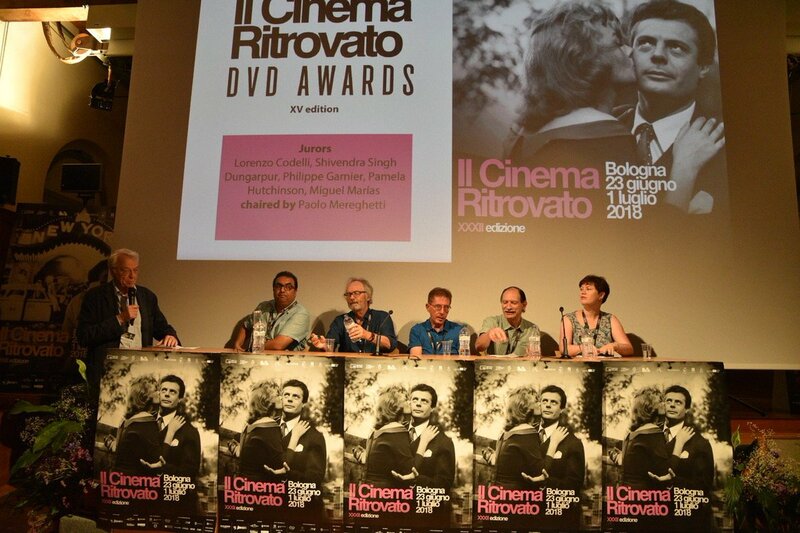 When I began my research into this area in 1984, and published the first book on the subject in 1989, (Reel Women: Pioneers of the Cinema, 1896 to the Present … updated and expanded into 2 volumes in 2012: Reel Women: The First Hundred Years) I in no way anticipated the nearly thirty years of struggle to obtain recognition for the vast achievements of these extraordinary women. Part of that struggle for me has been to excise these women from the ghetto known as “women’s history.” Of course, their stories are not solely the domain of women’s history, they are film history. And unless this distinction is clearly demarcated, their true fate in posterity is doomed to remain in the realm of the converted few. Alice Guy Blaché. The first narrative film director in history, and certainly the first female director, Blaché directed, produced and/or supervised more than a thousand films in her lifetime. She then spent the rest of her life attempting to prove to others that she had done so…. Guy Blaché, Alice…. 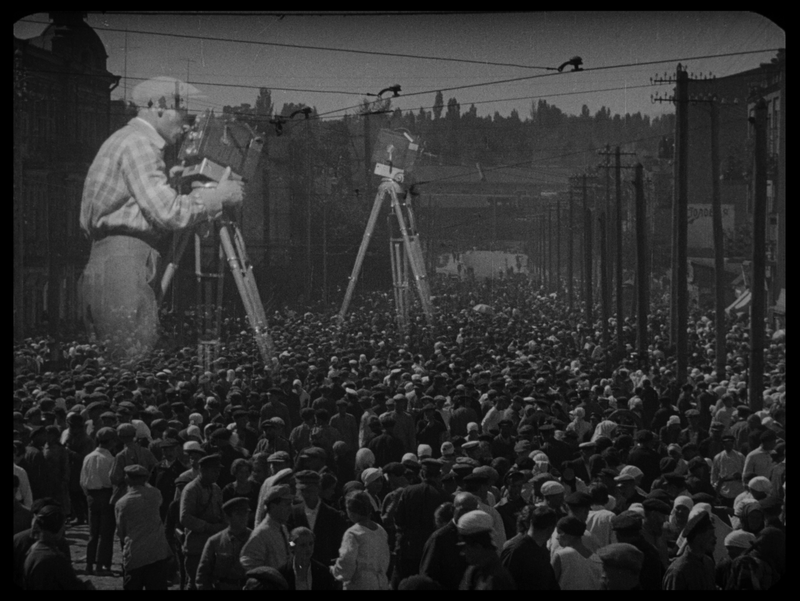 Originally Leon Gaumont’s secretary when he was still only making film equipment. 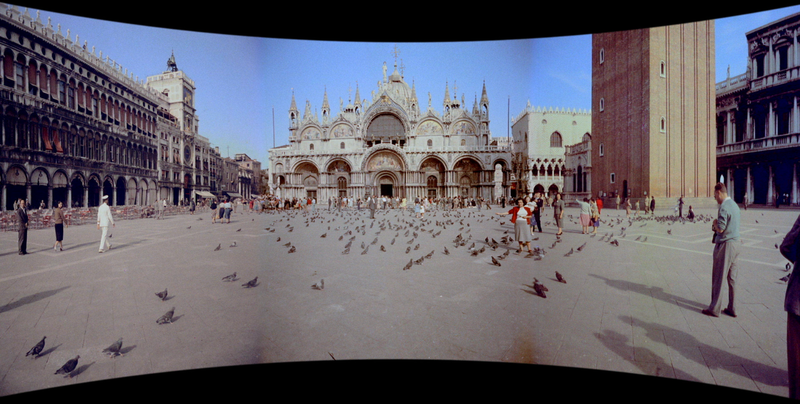 She began making short films intended for use as demonstrations for clients. She made her first film, LA FEE AUX CHOUX  some months before Méliès, thus becoming the first woman director in the world. The entry under “Méliès” in the same book describes him as the first director of “story films.” Not the first man director, but the first director. Although Blaché’s film was not specifically made as an entertainment vehicle, it was certainly a fictional, story film. (LA FEE AUX CHOUX [The Cabbage Fairy], concerned a fairy who “made” children in a cabbage patch.) Yet Sedoul chose to invent a subcategory “woman director” for Blaché, presumably in order to reserve the title “first director” for a man…. By 1919, it was becoming nearly impossible for any independent to compete with the onslaught of the growing mono­liths of Hollywood—the major studios. She began to hire out her talents to the larger companies, but it was clear that her career as an independent voice in the industry was all but finished. A time of great personal strife ensued. Her company fell into decline and so did her marriage. Demoralized and defeated, she returned to France in 1922 with her two children (a son, Reginald, was born in 1911, one year after she began Solax), hoping to pick up the pieces of her career in her home­land. She was without prints of her films, and by this time, a middle-aged woman; no one would employ her. “Mother was really cherished in the United States,” said her daughter, Simone. “The situation in France was quite the reverse.” “Cherished” in independent filmmaking, perhaps, but not in the new studio system where she couldn’t find employment. In 1927, she returned to the States to search for her films. But a visit to the Library of Congress, as well as several film depositories uncovered nothing at all . Blaché began supporting herself by pro­ducing conferences at universities on “fem­inine psychology and filmmaking.” She wholeheartedly believed in both marriage and in a working life for women. So why did it become necessary for her to spend years of unrelenting energy to correct his­torians’ records to prove what she had in fact done? Perhaps as early as the early twenties she knew it would be the only way to assure herself of the place she had earned in the history of film. New York filmmaker Ally Acker is the author of Reel Women: Pioneers of the Cinema, the ground-breaking herstory of the women who changed the course of cinema since its inception. The book was updated and expanded into two volumes: Reel Women: The First Hundred Years. Based on Reel Women, Acker directed ten documentaries, Filmmakers on Film, featuring interviews with Hollywood’s most influential filmmakers. She is also the director of The Flowering of the Crone: Leonora Carrington, Another Reality, the only authorized documentary portrait of the great surrealist painter/writer condoned by the artist during her lifetime. Ally Acker is a former staff writer/field producer of NBC’s Today Show. She is also the author of three books of poems. Acker holds an MFA in film from Columbia University. She is a sought-after speaker at universities and film festivals. As the first film historian to reveal the undeniable role of womens’ influence behind the screen, Acker has also been widely interviewed. 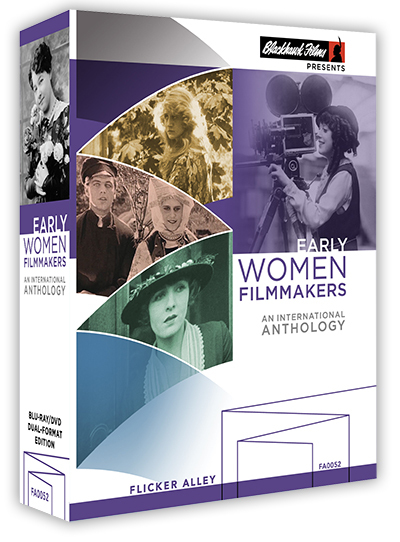 Learn more from Wellywood Woman in New Zealand about the evolution of Acker‘s work on pioneering women filmmakers. Based on the groundbreaking edition, Reel Women: THE FIRST HUNDRED YEARS, by Ally Acker, JODIE FOSTER takes us on a sweeping journey that looks at the remarkable achievements of female filmmakers from 1896 into the 21st century who transformed the way we look at movies. 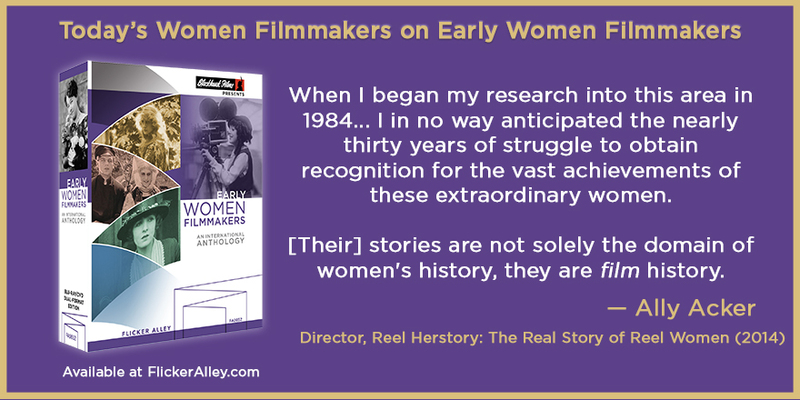 Using rare footage, and exclusive interviews with filmmakers all over the globe, Reel Herstory corrects the notion that women behind the scenes held adjunct or peripheral careers, and restores them rightfully to their pioneering status. Reel Herstory: The Real Story of Reel Women is an unforgettable look at pioneering women in all crafts behind the scenes who helped shape the history of motion pictures, but whose contributions have been long ignored.